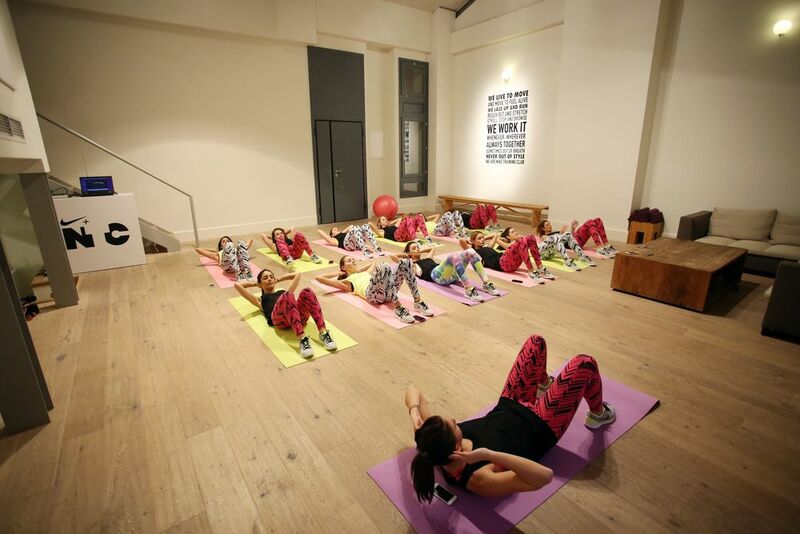 A couple of weeks ago, Nike Women held an exclusive group training in the NTC house, a private apartment in Thission Lofts, Athens, to inspire all of us women who want to get in shape and achieve our goal, by presenting the new Nike+ Training Club application. We had the chance to get to know the app -which can make our fitness lives easier- through this unique experience and try out the new printed tights of the spring 2015 collection. I enjoy so much wearing them while training, as they are stylish and feature a stretchy fit that hugs the legs from hip to hem for support and comfort during the whole workout.